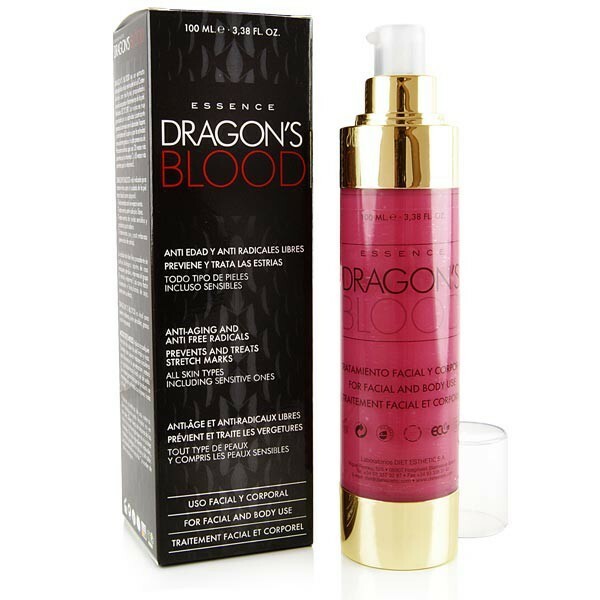 The Organic Dragon's Blood Essence Face and Body Milk has been formulated to deliver nourishing natural ingredients, leaving skin smoother and more rejuvenated. Dragon's blood is the hero ingredient in this efficient cream. It comes from crotonlechleri tree resin, and is full of antioxidants. Antioxidant rich ingredients target all imperfections such as scars and stretch marks, as well as signs of aging like fine lines and wrinkles. It has been used in Chinese medicine for centuries thanks to its healing effect, as it delivers anti-inflammatory properties. It also contains olive and rosehip oils; olive oil is extremely moisturizing, and stops skin from feeling tight or looking dull and flaky. Rosehip oil minimises redness and to create a uniform texture. The Dragon's Blood Essence Face and Body Milk is organic. It doesn't contain allergens such as colourants or perfumes, making it ideal for sensitive skin.